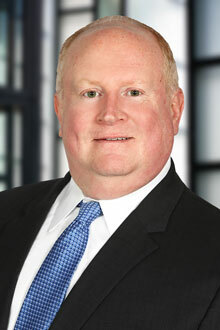 James W. Hailey III is a partner in the New Orleans office of Lewis Brisbois and a member of the Insurance Coverage Practice. He is a fifth generation New Orleanian. For over the past two and a half decades Mr. Hailey has assisted his insurance and corporate clients in detecting, deterring and defeating fraud in construction, premises, transportation and general litigation matters, including coverage. Mr. Hailey has made numerous presentations to clients’ special investigation units (SIU) and to industry personnel, including the Insurance Services Offices (ISO), National Insurance Crime Bureau (NICB) and International Association of Special Investigation Units (IASIU) Chapters nationwide. He is very active in local claims organizations serving as President (2013 and 2014, 2016-2019) of the New Orleans Claims Association (NOCA), Board member (2014 to present) of the Southeast Louisiana Chapter of the Risk and Insurance Management Society (RIMS), past president and present Assistant General Counsel of the Honorable Order of The Blue Goose International claims organization, founding Secretary (2013 and 2014, 2016 and 2017) and presently President (2018-2019) of the Louisiana Chapter of the Claims and Litigation Management organization (CLM), Louisiana Claims Association, and many others. He has been honored as a “Top Lawyer” by New Orleans magazine and "Best Lawyers" for the past several years. He is an avid sports fan and enjoys time on the Gulf Coast.